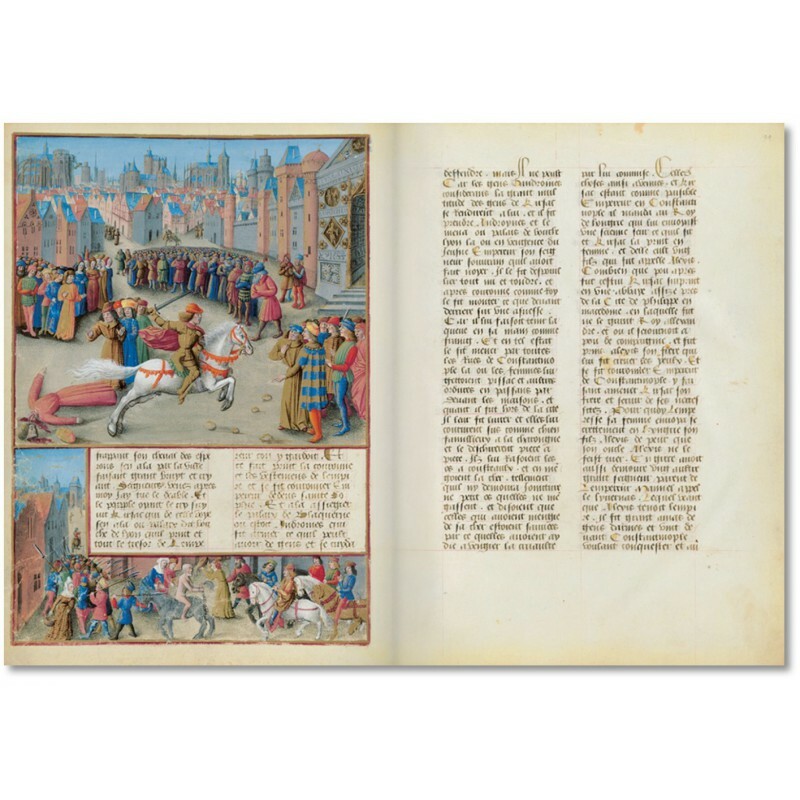 Completed circa 1474, Sébastien Mamerot’s lavishly illustrated manuscript is the only contemporary document to capture several centuries of French crusades, when successive kings tried to capture the Holy Land. 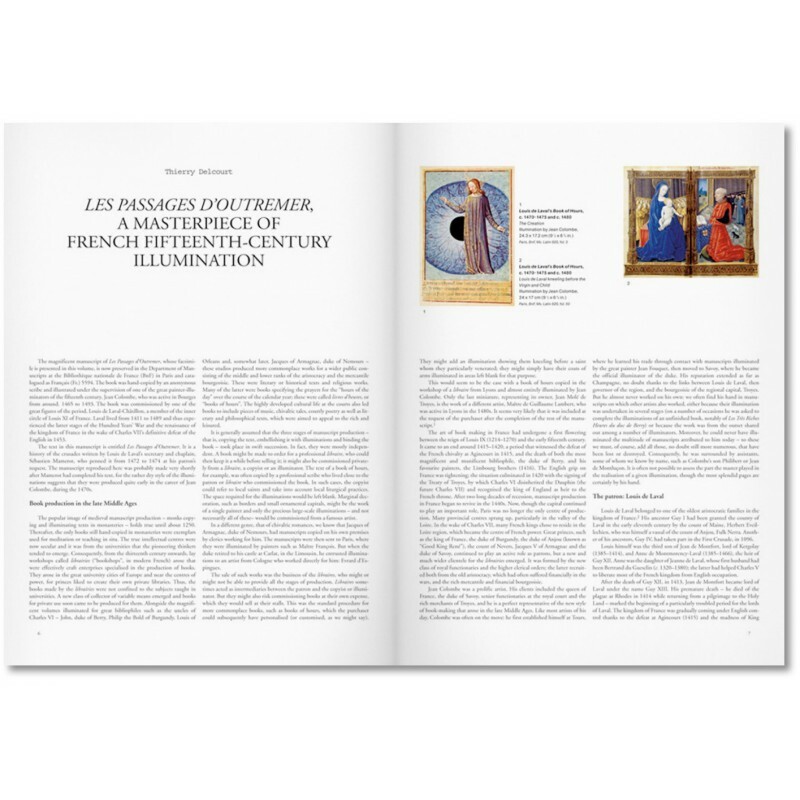 Jean Colombe, the medieval illuminator best known for his work on the Très Riches Heures du Duc de Berry, is the principal artist of its 66 exquisite miniatures. 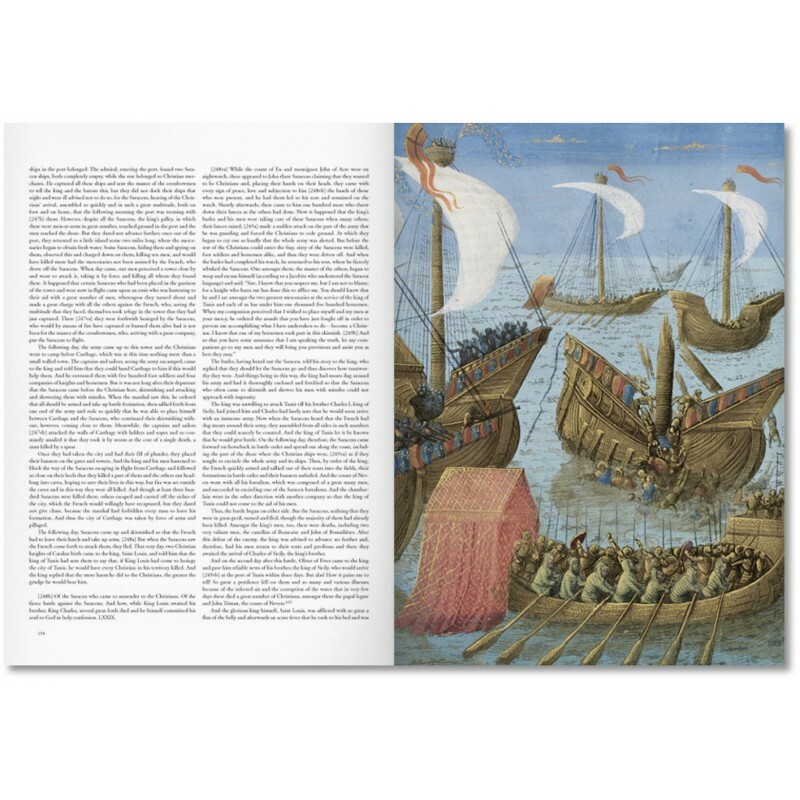 Mamerot’s manuscript was dedicated to his patron Louis de Laval, governor of Champagne, whose inspiration was the Christian equivalent of extremist jihad—a xenophobic holy war with its origins in a Papal appeal by Urban II. 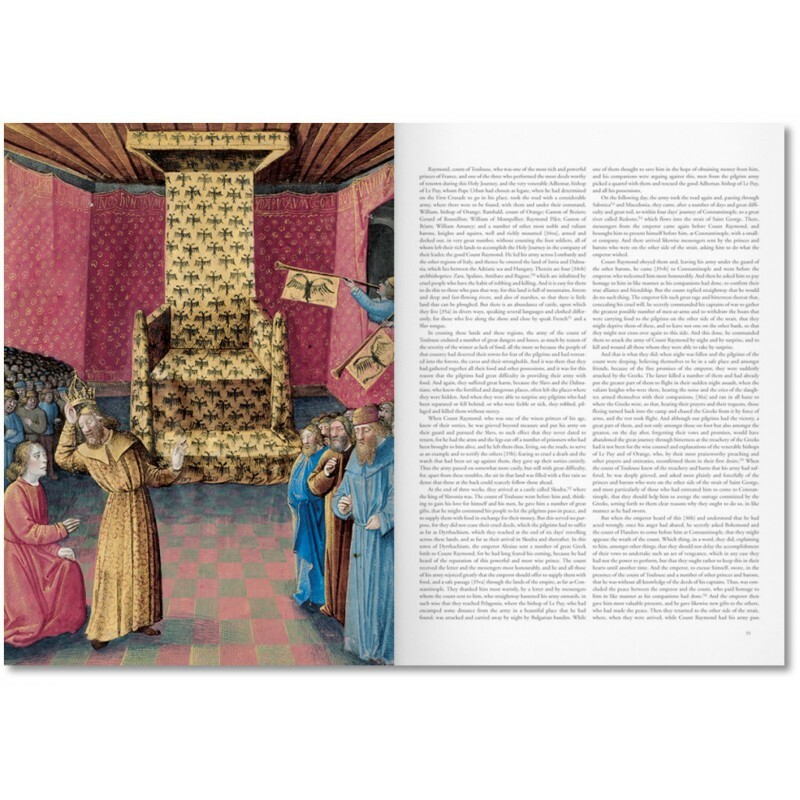 Les Passages d’Outremer (The Expeditions to Outremer) comprises 277 parchment folios, illustrated by Colombe and the finest caligraphers of the medieval era, and now resides in the French national library. 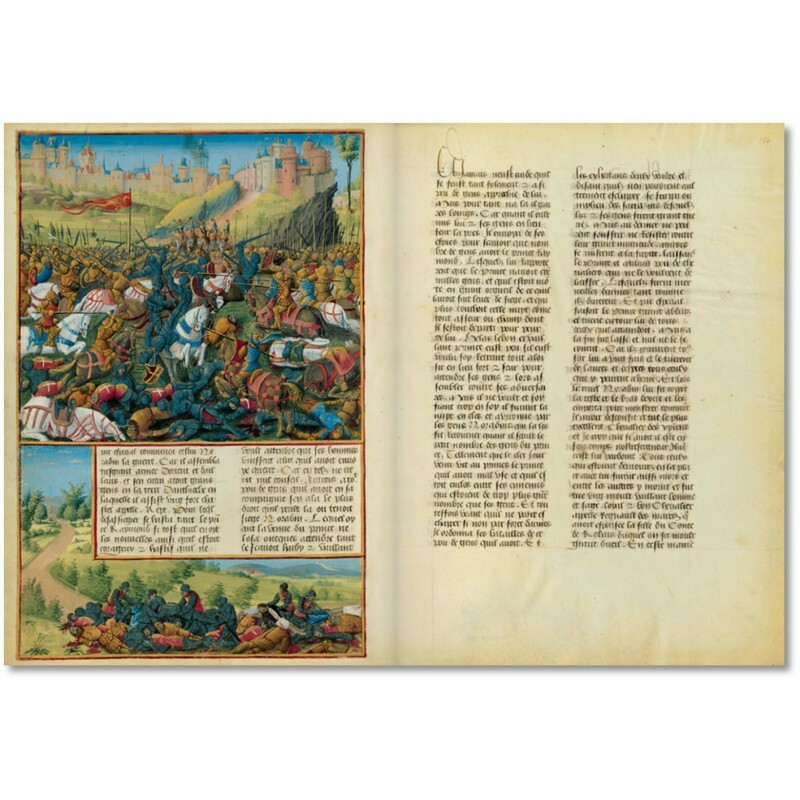 This manuscript is the source of TASCHEN’s facsimile reprint, which is accurate down to the color of the medieval gold heightening. 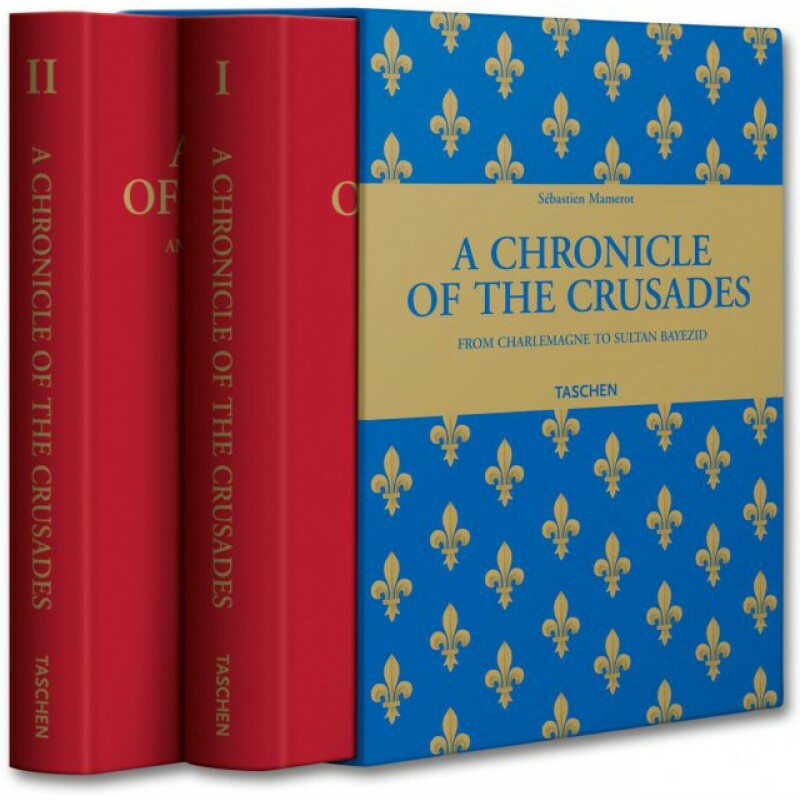 This two-volume hardcover edition in a slipcase – comprising a facsimile volume and a commentary volume with the complete translation of the manuscript text and explanations of Jean Colombe’s miniatures – is a particular testimony to that long, glorious and bloody historical epoch. 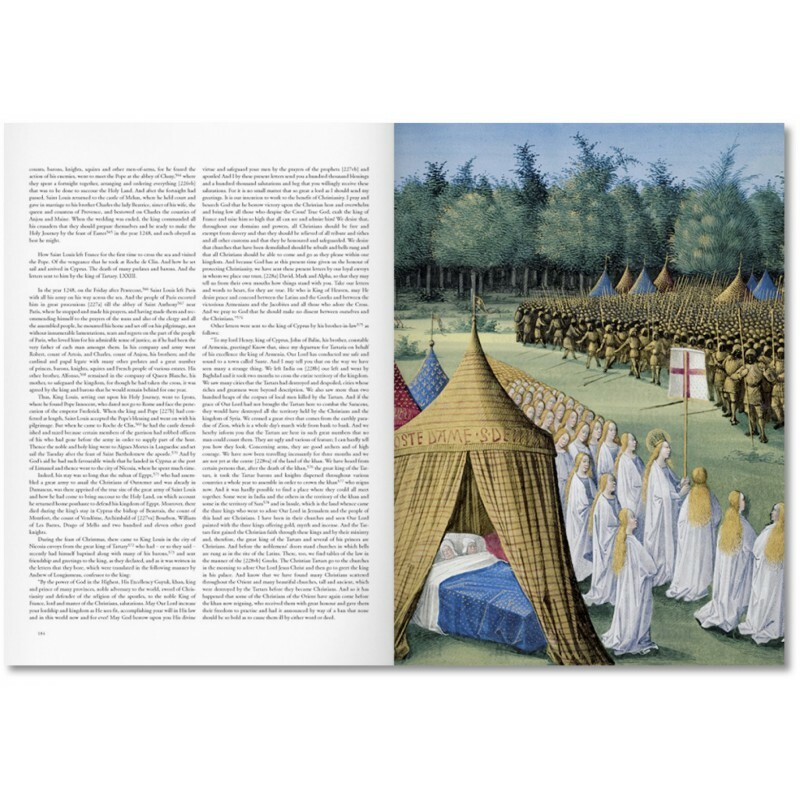 The battles, burials, religious ceremonies, coronations and royal processions depicted in the 66 colourful miniatures come to life before our eyes and create a forceful image of those centuries-long wars. The copy belongs to the Bibliothèque nationale de France, Paris, www.bnf.fr. Thierry Delcourt earned a doctorate in literary studies and was the former head of the Bibliothèque municipale of Troyes (now the Médiathèque de l'Agglomération troyenne). He has been director of the Department of Manuscripts at the Bibliothèque nationale de France since 2006 and is the curator of the exhibition La légende du roi Arthur, BnF, October 2009. 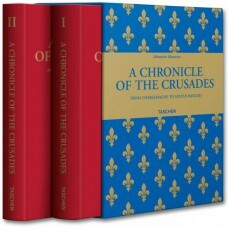 His books include Les croisades, la plus grande aventure du Moyen Âge, and La littérature arthurienne. Fabrice Masanès is an art historian and art critic, with a doctorate in art history from the Sorbonne. A specialist in painting, he teaches on 19th-century art in Paris, and the history of medieval Paris at the University of Illinois at Chicago. The author of TASCHEN's Courbet, he has written extensively on literature and the visual arts. Danielle Quéruel is Professor of Medieval Literature at the Université de Reims Champagne-Ardenne. 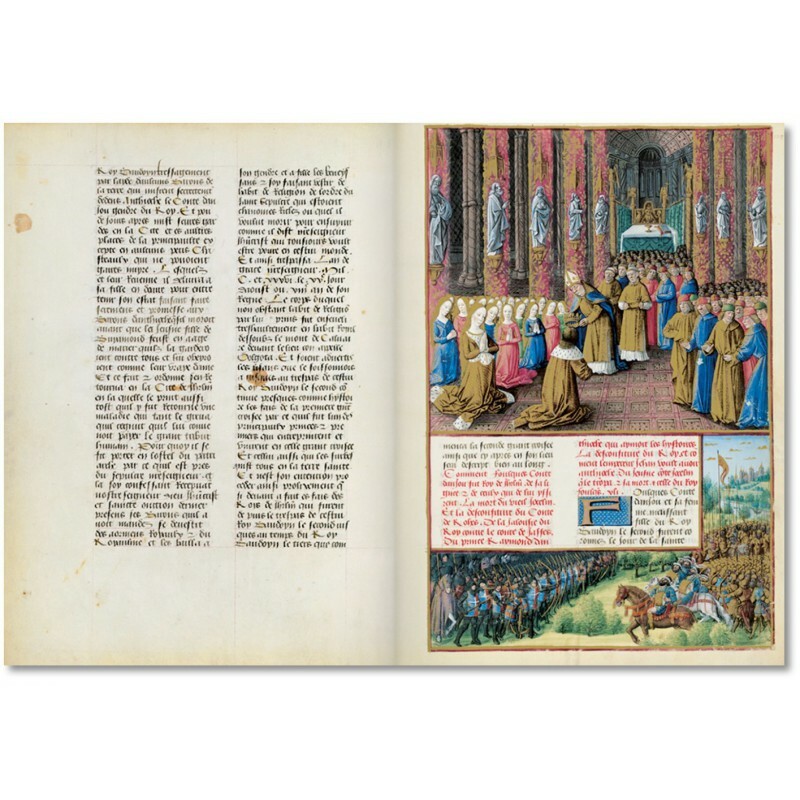 She holds a doctorate in late medieval Burgundian romance literature, has studied prosification and crusade literature, and has published widely, including editions of Le roman de Tristan en prose, and Le Livre du devisement du monde de Marco Polo.